Follow the installation instruction on the ARMBIAN Website, it is pretty straight forward and works very well. If you have eMMC on Board you can run the script “nand-sata-install”, it worked well on my ORANGE PI PLUS H3. # Clone the Repository inside a directory of choice. # "cache" = delete "./output/cache", "sources" = delete "./sources"
BUILD_ALL="no"                     # cycle through available boards and make images or kernel/u-boot packages. 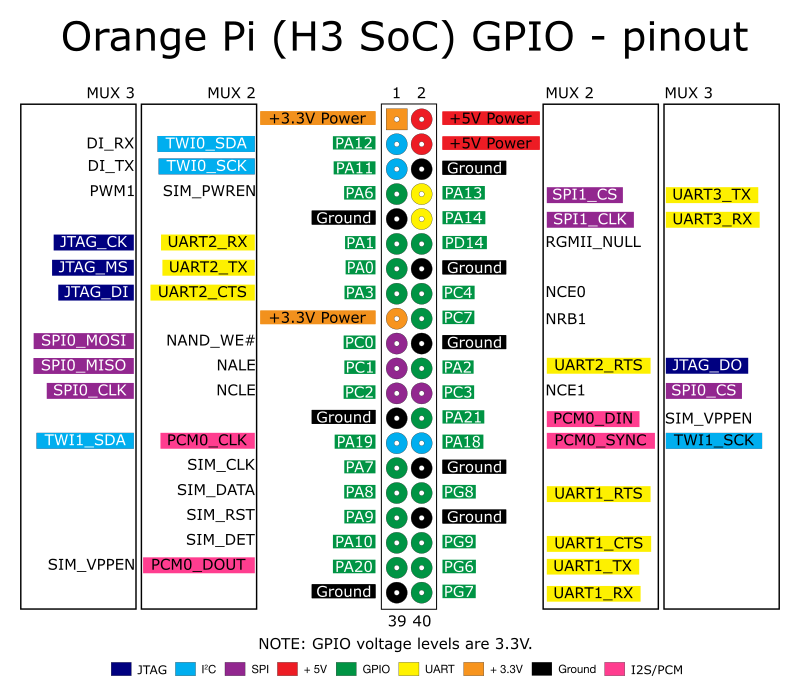 # choose "Kernel and u-boot packages"
#  - Kernel Features - disable "Tickless System"
The main issue with PPS on the Orange PI is the correct mapping of the GPIO Pin. Theoretically it should be don modifying the DSTI or the FEX. It is too complicate to use this method and for our purposes modifying the “pps-gpio” driver is faster and easier. *   Foundation, Inc., 675 Mass Ave, Cambridge, MA 02139, USA. unsigned long flags = pdata->assert_falling_edge ? flags |= ((flags & IRQF_TRIGGER_RISING) ? You can substitute the file after the u-boot compilation when the script compile.sh will wait for a patch (option CREATE_PATCHES=”yes”) and it will save the modification under the directory “/userpatches/patch/”. Then proceed with the compilation of the kernel. The new kernel can be installed by simply transferring the deb package to the Orange PI and use dpkg. If you have compiled the default kernel, the image package is the only one needed. # A new device file /dev/pps0 will be created. Congratulations, you have now a very precise (in the microseconds range) Stratum 1 Time server, with an Orange PI, running CHRONY with GPS and PPS. Thanks for your detailed instructions! In trying to decide whether to purchase one of the more-popular/supported ‘Raspberry Pi’ models for such a project, or a less-known/less-supported ‘Orange Pi’ or NanoPi’ device, it looks like it is more work to do this on a non-Raspberry Pi device, because kernel compiles are required. Am I correct? Is this because ‘PPS’ support is not present in any of the Armbain/DietPi/etc/ kernels, but it is in Raspbian? Also, do you have any other general advise about what devices to consider for projects like this i.e. I have read that wifi on the Pi Zero is poor. The Orange Pi PC Plus looks good since it has on-board eMMC. There is plenty of articles on how to implement PPS on Raspberry PI and also most of the info provided for Orange PI can apply to Armbian. Regarding the platform, the Orange PI is far less manageable than Raspberry PI, mostly for the lack of documentation. It is much easier to recompile the Raspbian kernel than doing the same on the different “Linuxes” of the orange PI. 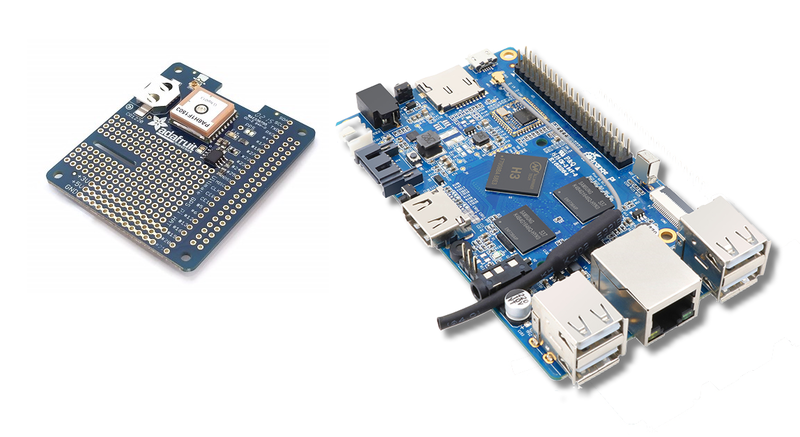 The only advantages of the Orange PI platform are: eMMC, SATA I/F, Non-USB Ethernet. If you don’t need any of these three, better choose the Raspberry platform. For what relates with PPS/GPS there are no performance drawbacks in using the Raspberry PI 3, with respect to the Orange PI. The most suitable usages for the Orange PI are for building a DIY NAS or for HOME PC. Thanks for the reply! More specifically, the R Pi articles that I have read for setup of GPS/PPS do not mention the need to recompile the kernel (?). Can you elaborate as to why this is necessary for the O Pi? It depends upon the level of precision you’ll need to achieve. For the highest precision you will need to disable the “Tickless System” kernel feature, you may need to increase the “Timer frequency” (hidden – requires a patch) above 100 HZ and you may need to modify the PPS-GPIO driver to better manage the gpio pin for the pps and the raising/falling edge of the pps assertion. With all these changes you will be able to achieve a precision below two microseconds and an offset in the range of twenty nanoseconds. These results may also require to change the PPS period below 1 second (1 HZ frequency) to 100 milliseconds (10 HZ frequency) by using a uBlox GPS and using CHRONY instead of NTP. Without recompiling the kernel the precision will be below ten microseconds and the offset will be in the range of one microsecond. Yes, this does make it clearer to me! It also makes me wonder if the kernel maintainers could be convinced to make these optimizations ‘standard’ in their kernel creations (why not?). Hello Again! I now have my Orange Pi PC Plus and GPS module with PPS pin ready in front of me, but the very first obstacle I run into are the instructions to edit (a copy of?) the ‘compile.sh’ script. I was expected to override parameters already present in that script, but I guess I have misunderstood e.g. there is no reference to ‘KERNEL_ONLY’ in that script, etc.. Can you put me back onto track? Thanks! Things have changed after my edit. Do I really need to set up some sort of cross-compiler environment to do this? Very confusing, but I think I am on the right track i.e. the compile process seems to pick up the ‘pps-over-gpio.patch’ that I put into ‘/data/orangepi/build/userpatches/kernel/sun8i-default’ (at least while using the compile option that makes ‘deb’ files). However, I see no opportunity to alter ‘General Setup’, ‘Kernel Features’, ‘Device Drivers’, etc. as you described in your instructions — so I am not sure if this is still required or how to do it (?). In “Device Drivers”, PPS Support and PPS Client using GPIO shall be enabled, otherwise PPS won’t work. In “Kernel Features”, Tickless System shall be disabled to obtain an higher precision, although it’s not mandatory. The “Tickless System” is usually on to reduce power consumption and allow low power modes on mobile devices, but with PPS is better not using it. During the compile process, I am not prompted to make any changes that would activate those other features. Is there a particular file that I need to manually edit to do so? Perhaps the behavior has changed since you originally wrote the webpage? Yes, config-default.conf, read my previous reply and links. Set KERNEL_CONFIGURE="yes" in config-default.conf and other options you may need, then relaunch ./compile.sh . You should be prompted with a MENUCONFIG process dialog where you can change the kernel options. A followup question: without even getting past the first step of re-compiling the kernel, I don’t see any device on ‘/dev/ttyS3’ when I boot with my GPS module (with the connections you suggested). Is this normal? [Orange Pi One] How to enable UART?